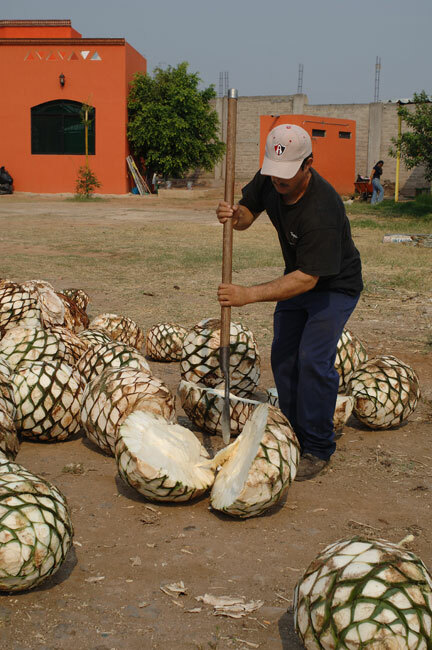 This worker splits the agave hearts in half prior to cooking in ovens. 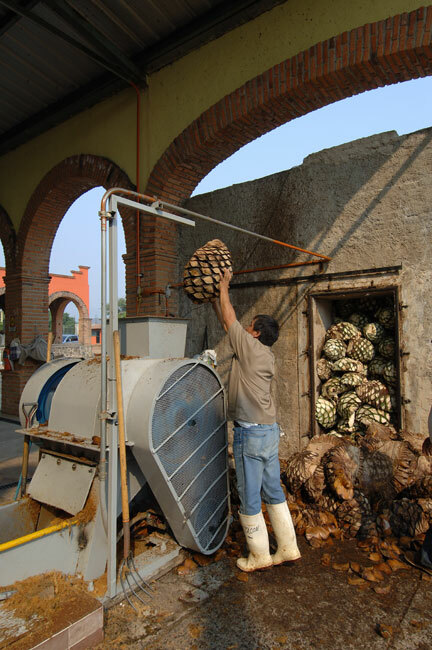 Shreaded agave pulp is placed on a conveyer to the juice extractor. 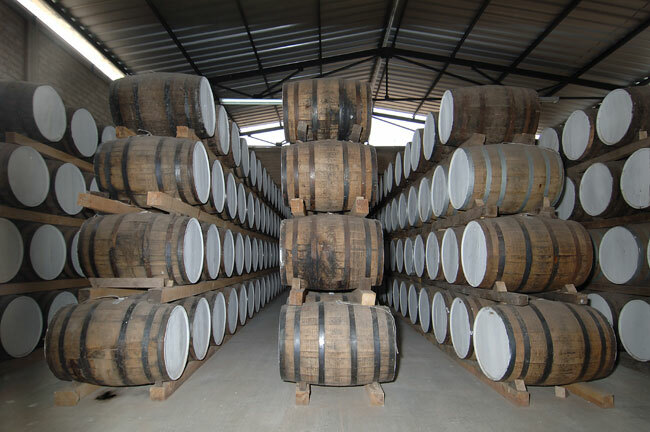 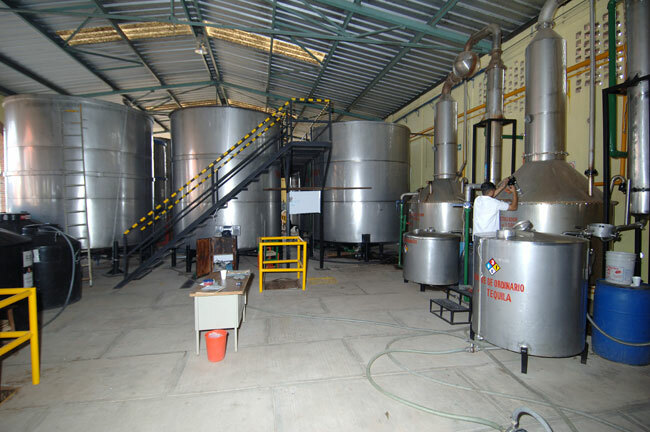 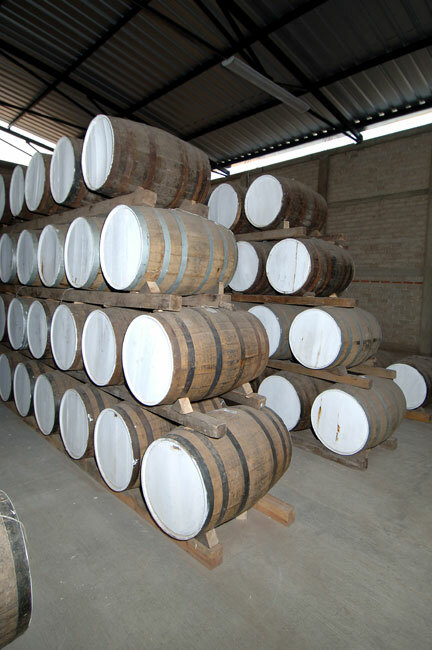 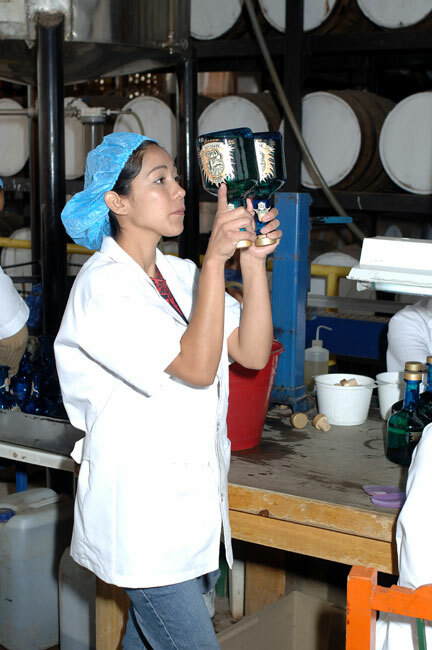 The Impulsora Rombo tequila distillery is located in the small town of Amatitan in the state of Jalisco, Mexico. 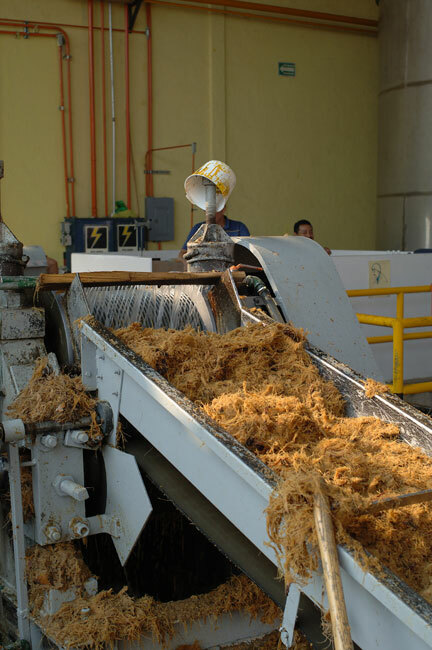 Most of these photos were taken April 2005. 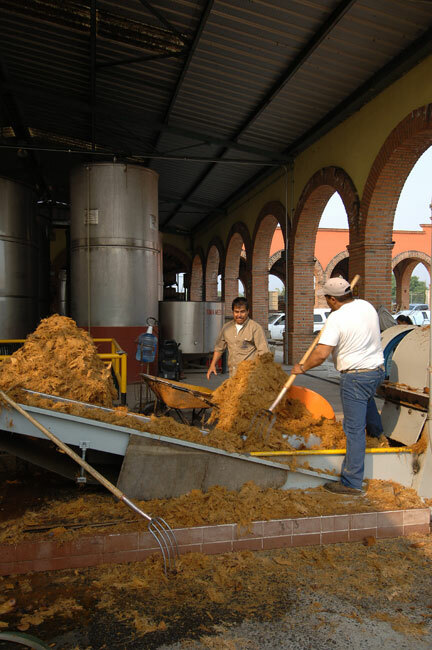 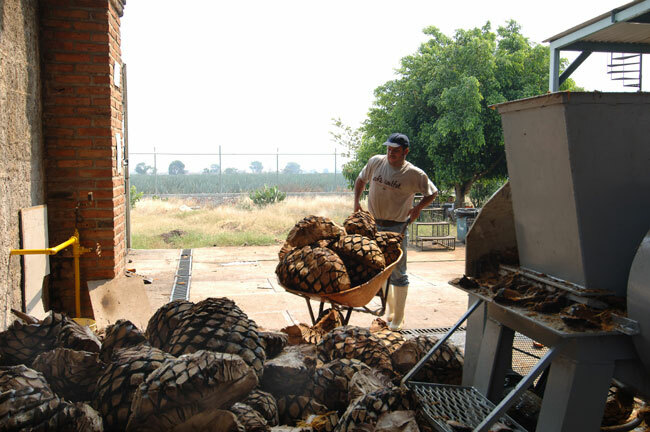 Workers put the cooked agave hearts into a crusher. 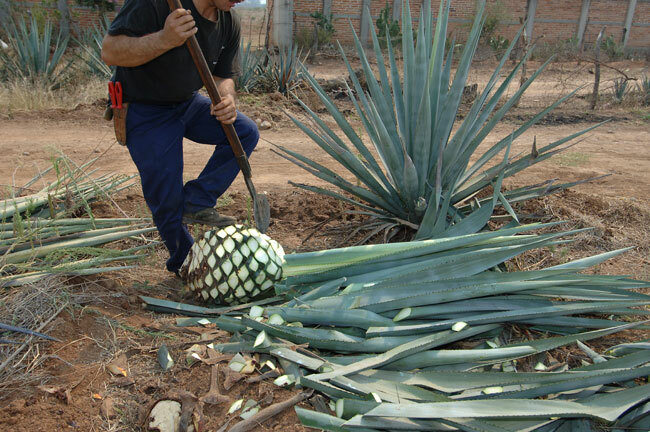 Working with agaves at the Impulsora Rombo distillery in Amatitan, Jalisco, Mexico. 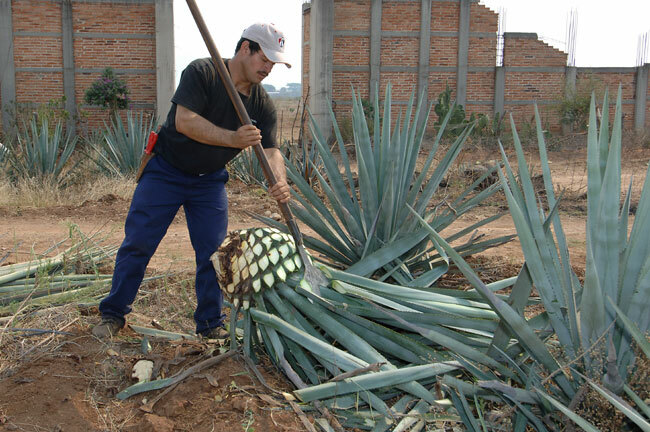 Worker cuts the leaves from the blue agave plant. 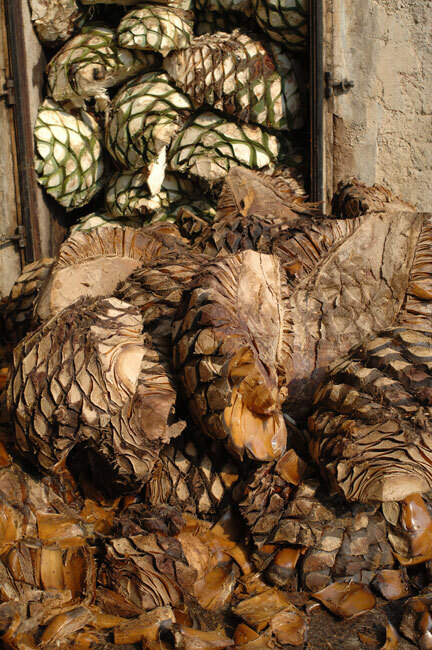 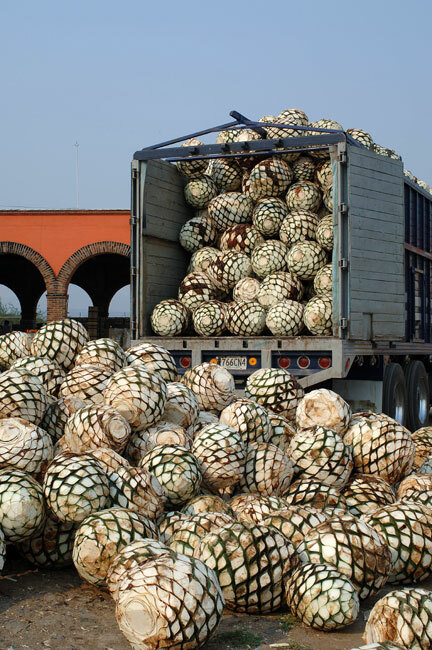 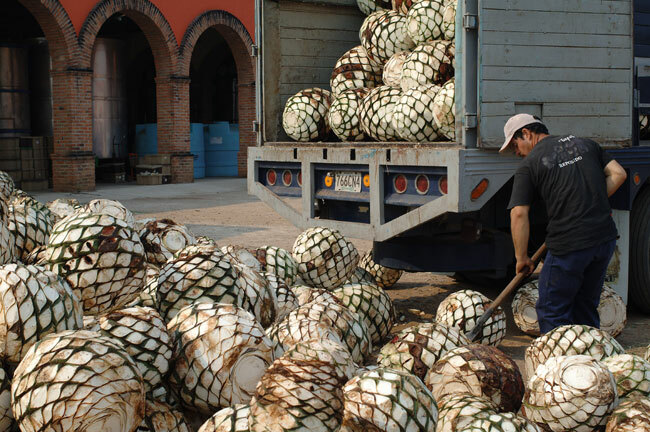 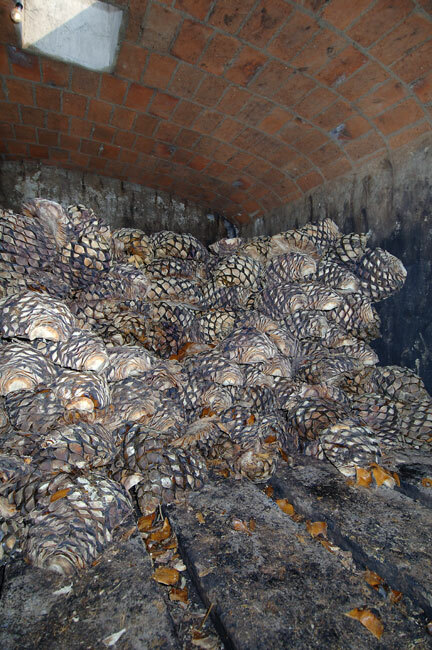 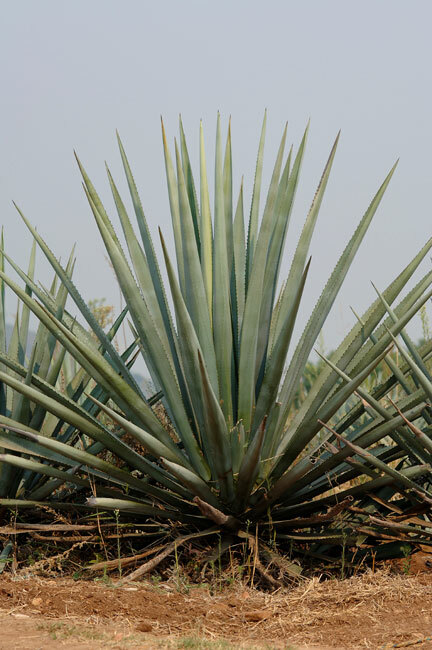 The remaining agave heart, or piña (pineapple) will be taken to the distillery for processing into tequila.